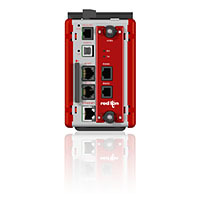 Designed to act as the factory floor hub for industrial data collection and management, Red Lion’s Data Station Plus provides protocol conversion, data logging and remote machine access via a built-in web server. With three serial ports and one 10/100Base-T(X) Ethernet port, the Data Station Plus allows disparate devices to communicate seamlessly, regardless of manufacturer or cable connection. Easily configured with Crimson® 3.0 software, our protocol converter delivers unmatched visibility into process and equipment performance on any device, anywhere. Learn More. 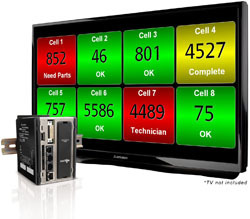 Red Lion’s ProducTVity Station is a ready-to-deploy plant floor visual management system that displays real-time Key Performance Indicator (KPI) data and Andon messages on large televisions to drive efficiency. 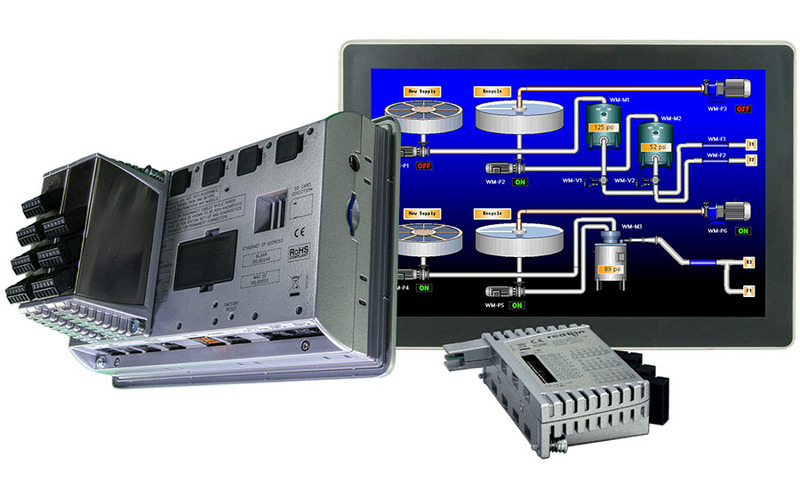 Using a built-in library of over 300 industrial protocols, the ProducTVity Station can connect to almost any plant floor equipment to help improve process improvement. Easily configured with Crimson® 3.0 software in just minutes, the ProducTVity Station can deliver unmatched visibility into process and equipment performance in manufacturing environments. Learn more.